Diamond Systems is a trusted partner for aerospace/defense military customers worldwide, both government and OEMs. Our rugged single board computers and I/O expansion modules are deployed in numerous performance-critical aerospace and defense COTS applications around the world. Applications include C3I, COMs on the move, data collection, precision targeting, environmental threat detection, and diagnostics. Our products can be found on the ground, in the air, and under the sea. Diamond is ISO 9000 certified and all of our products are managed with configuration control and change notification for our customers. We provide products with Class III manufacturing quality and long life for both COTS and semi-custom products, for example our COM-based SBCs ensure longevity through the use of interchangeable COMs. Click on the articles below to find out how our products are being used in real-world applications. A US prime contractor recently provided shipboard network infrastructure upgrades to the LCAC fleet of U. S. Navy amphibious vehicles for all of the networks aboard the LCAC, including navigation, control and communications. The upgraded network infrastructure had to support more distinct and redundant networks, offer increased overall data throughput, and support rigorous network security. Read more about this application here. 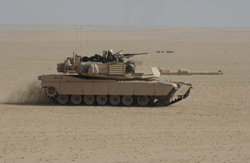 A European military equipment manufacturer currently provides a weapons station control system for the U.S. Army’s vehicle program. The weapons station is used to control a gunnery system from inside a moving military vehicle, which can often be traveling over rough terrain. Ease of use, high accuracy and precision, and operation in extremely harsh environments are critical performance factors of the control system. 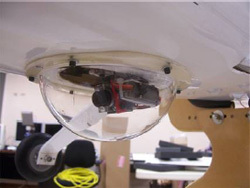 A US government agency uses Diamond's Athena single board computer in its unmanned experimental aerial vehicle. Unmanned Aerial Vehicles have demonstrated potential as being effective platforms for supporting scientific and exploratory missions being capable of performing long endurance flights, and reaching remote areas that may be too dangerous for humans. As their role and types of missions expand, challenges are presented which require on-board systems to have increasingly higher levels of intelligence and adaptability. Diamond Systems provided design and manufacturing services for a total of 10 circuit boards used to control the launch and flight of the Northtrop Grumman Miniature Air-Launched Decoy (MALD), designed and built for the U.S. Air Force. Product Ruggedization Services from DSC helps Customer Pass Harsh Environmental Requirements where Others Have Failed! 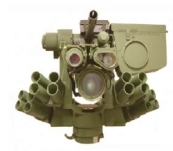 A leading Defense Contractor has developed a Weapons Station that utilizes Diamond's products and services and remotely controls light and medium caliber weapons that can be installed on any type of military vehicle. A manufacturer of military vehicle sensor systems uses the Diamond Systems Prometheus PC/104 SBC board in an upgrade program that enhances the performance of the vehicle fleet. The Prometheus CPUs are used in three separate systems within the vehicle: Navigation, stabilization, and fire control. The Prometheus includes a ZFx86 processor, Ethernet and serial ports for communications, and analog and digital I/O, all on a single board. The compact and rugged all-in-one design of Prometheus, along with its low power dissipation and extended temperature operating capability, enabled the customer to achieve their design goals in an environment with severely limited space and extreme environmental factors. Space Shuttle Endeavor flight STS-77 contained three different experiments which utilized Diamond’s Diamond-MM PC/104 analog I/O modules as part of the experiments’ computer-based control systems. The extreme and harsh conditions of a rocket launch, ten days in orbit, re-entry and landing subjected the shuttle, its crew and contents to extreme ranges of temperature, shock and vibration, which required the utmost in reliability of the on-board equipment. Diamond Systems’ products were up to the task. In May of 2008, a prestigious US University successfully conducted a series of research experiments as part of a NASA high altitude research balloon flight. Using a PC/104 based computer system, the University researchers conducted a series of engineering tasks over many hours and collect key science data. The NMSU PC/104 computer system was built around Diamond Systems’ Athena II SBC, Emerald 8-port serial I/O module, Pearl opto-isolated relay module, and Jupiter power supply module. In a landmark test flight, a US research institution and a team of partners successfully launched a 26.2 cm solar telescope to an altitude of 120,000 feet into the upper reaches of the atmosphere where the sky turns dark, borne by a balloon larger than a Boeing 747 jumbo jet. The NASA helium balloon and its attached two-ton gondola of scientific instruments were launched on the morning of October 3, 2007 from the Columbia Scientific Balloon Facility in Fort Sumner, New Mexico. 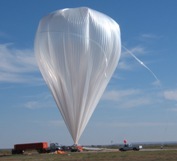 The balloon-observatory reached an altitude of nearly 23 miles and remained aloft for about 10 hours, capturing stable solar images, collecting other data of the sun's surface and gathering additional data from the various instruments of the sophisticated payload. QuakeSat is an innovative and ultra-compact Linux-powered satellite designed to search for earthquake precursor signals from space. Diamond's highly integrated Prometheus PC/104 SBC serves as the brains of the satellite's internal electronics.